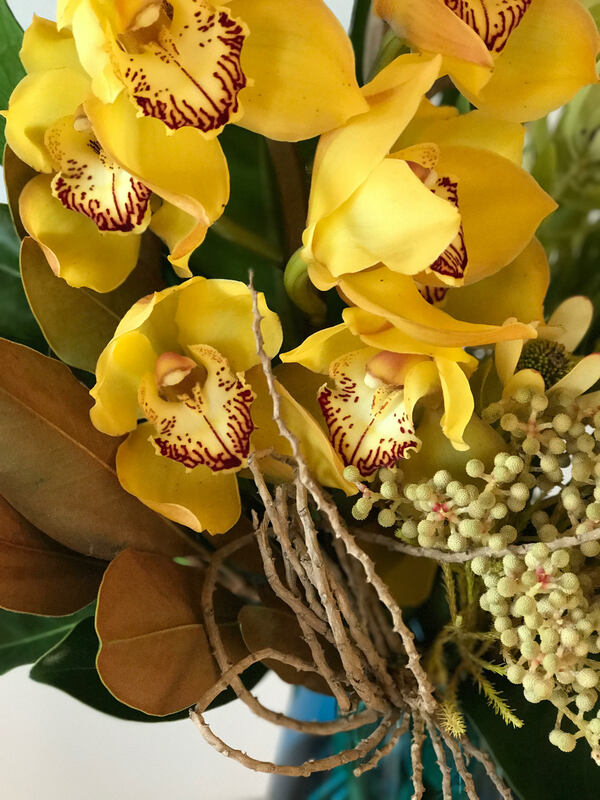 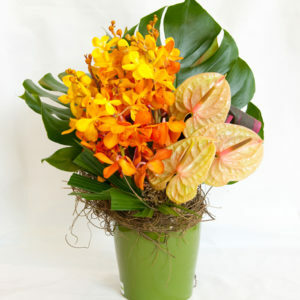 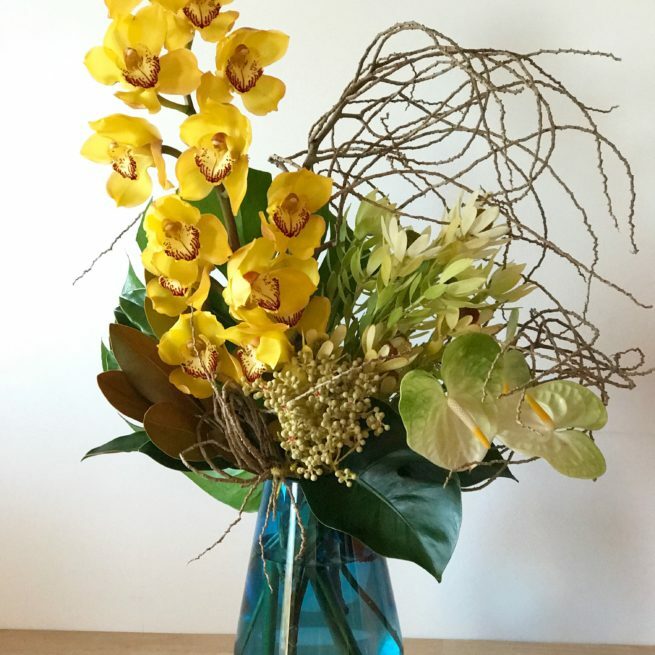 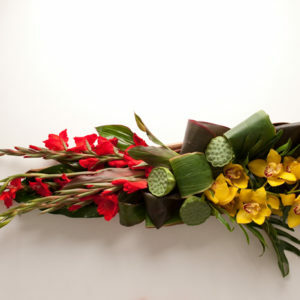 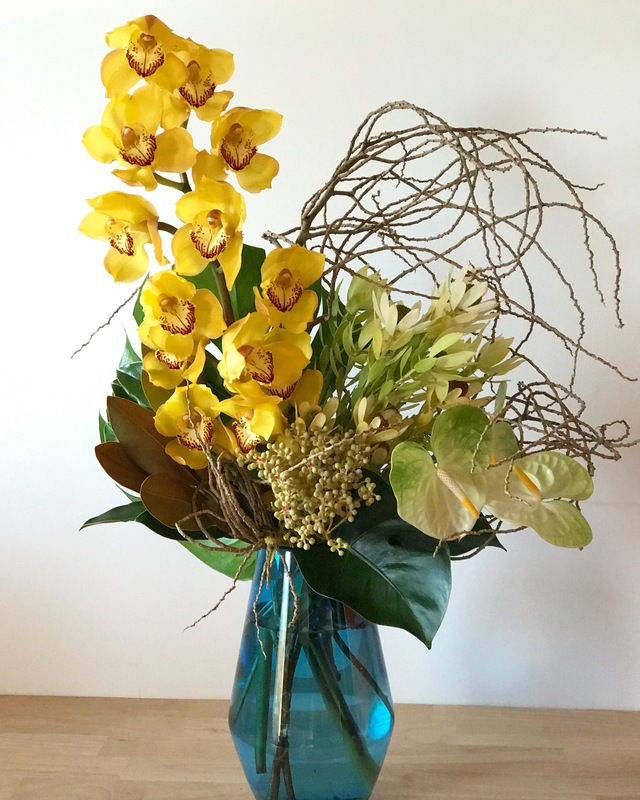 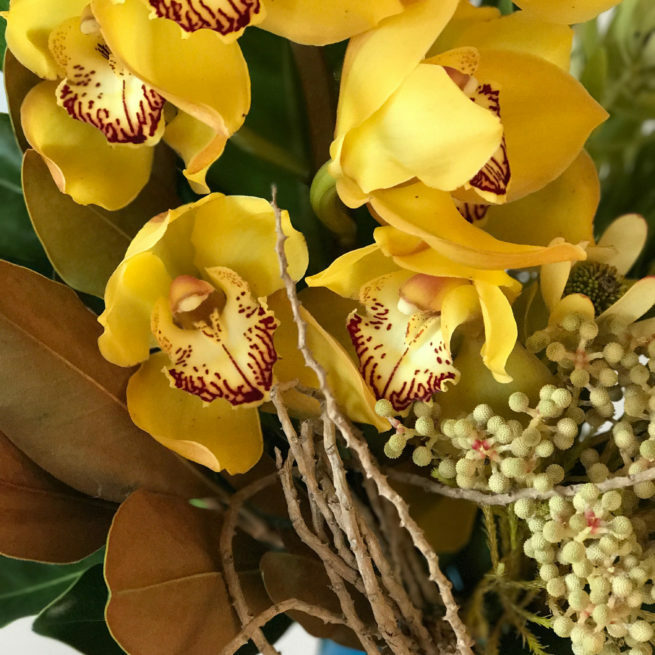 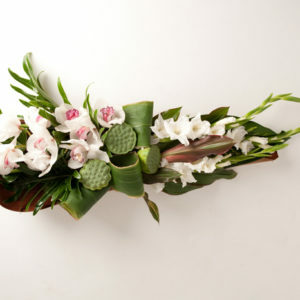 A striking sculptural arrangement of Cymbidium Orchids, Anthuriums, Berries and Seasonal Blooms. 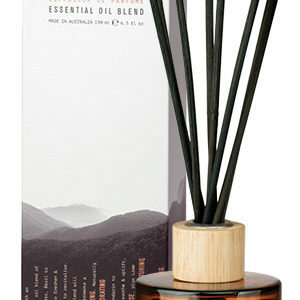 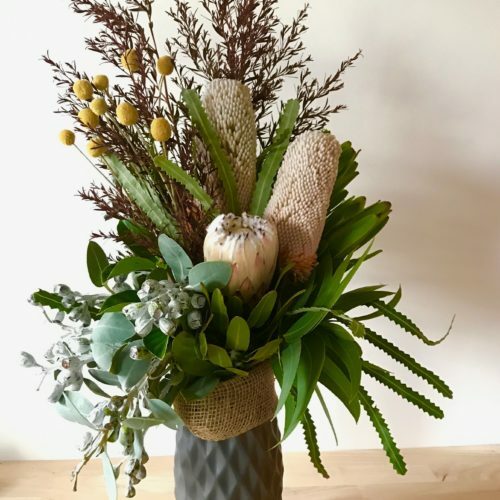 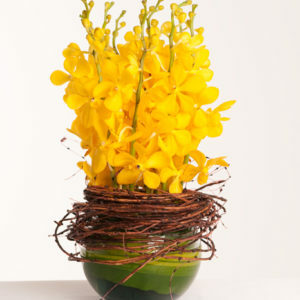 Full of texture this arrangement is sure to leave a lasting impression! 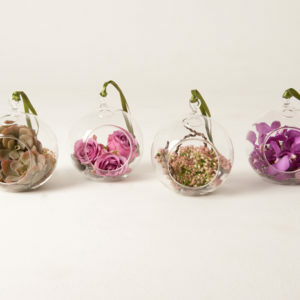 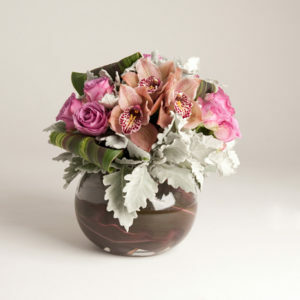 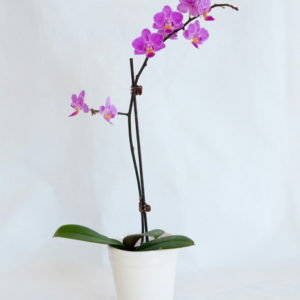 A glass or ceramic vase will be chosen to best suit the blooms that are used. 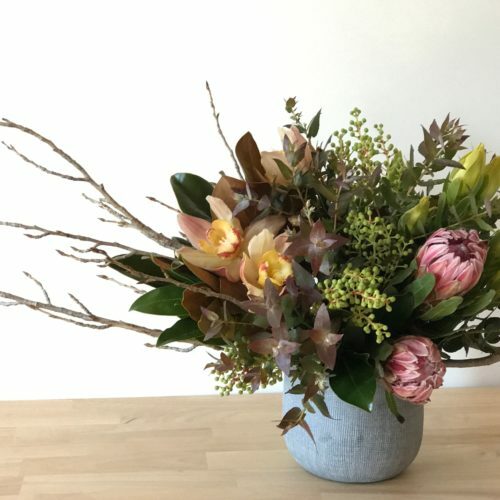 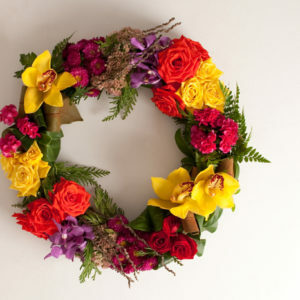 Colours and blooms will vary, each design will differ and be determined by the fresh blooms in studio on the day of delivery. 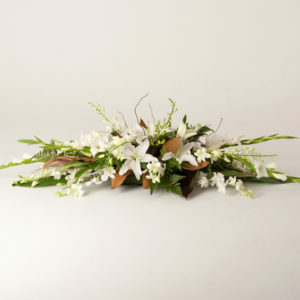 If you would prefer a certain colour palette please leave a note at the time of ordering.